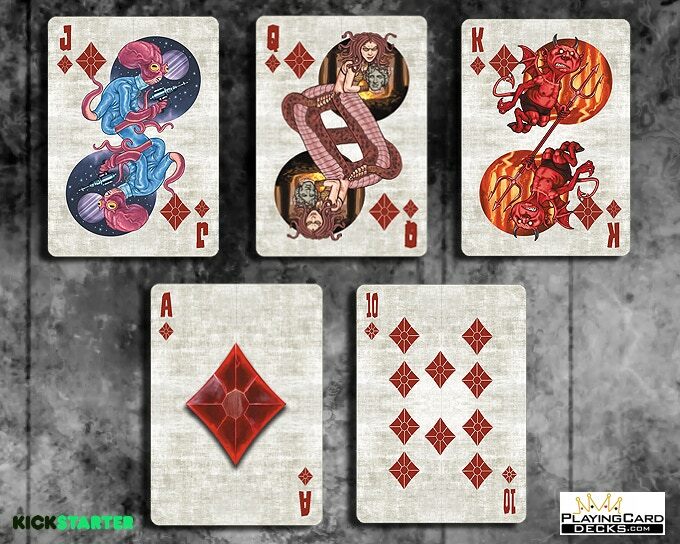 Since his fisrt own crowdfunding project in mid-2017, Will Roya (PlayingCardsDecks.com) has not stopped offering us a wide variety of designs collaborating with all kind of style artists from around the world. 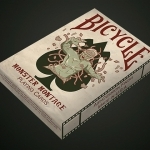 His new deck is BICYCLE MONSTER. 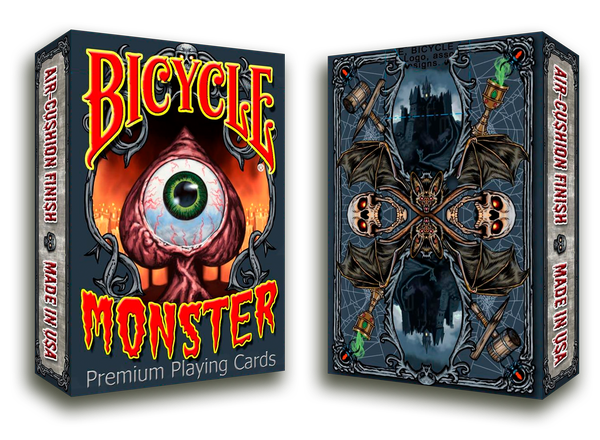 Designed by the American artist Joe M. Ruiz (studio Urge), the illustrations are inspired by traditional monsters but from a funny vision and a fairly mature comic style. Each one of the suits represents a group of monsters, from the aquatics to the undead, going through those that transform or those from other worlds. 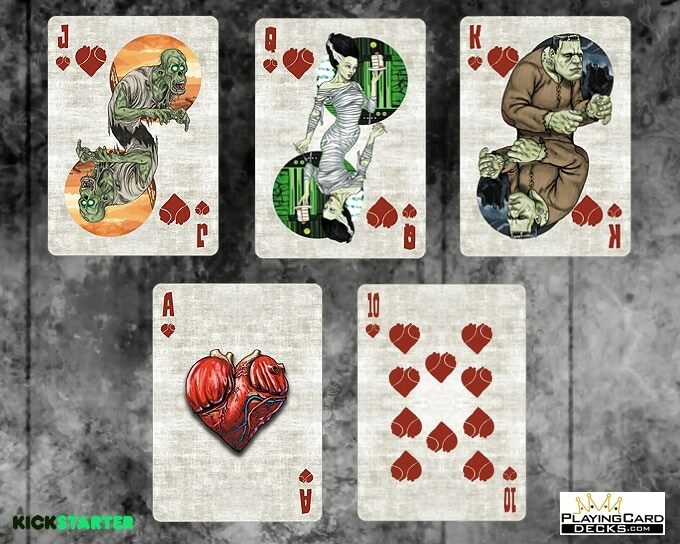 A fun parade in fully custom cards that include “terrifying” pips and aces with skulls, hearts (the real ones), bloody eyes and viscera from another planet. 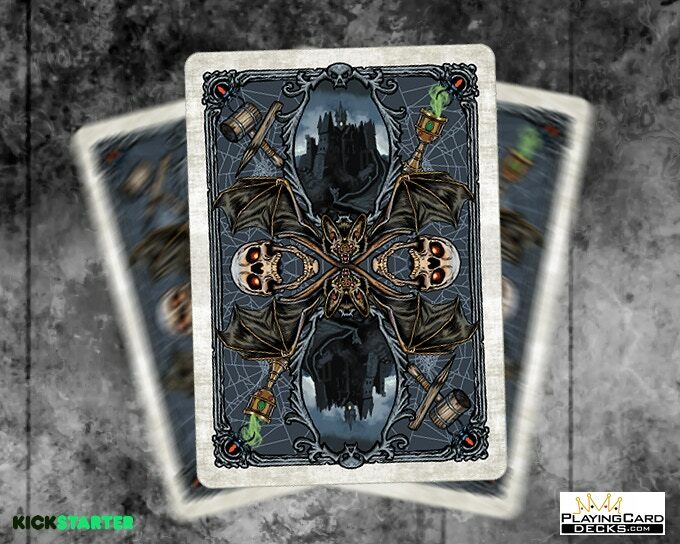 The card back is a horror festival with elements from the most classic stories. 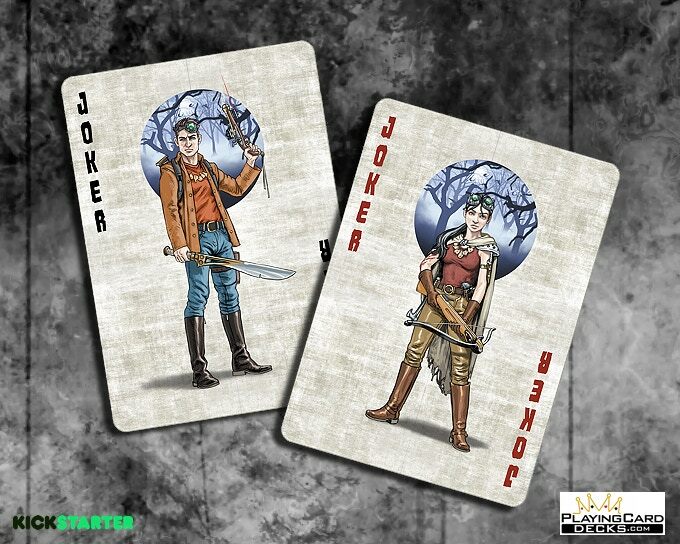 Only the jokers can overcome all this madness as they represent those monster hunters who want to kill them all. 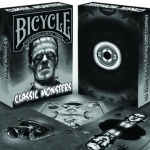 An interesting deck printed by the USPCC and Bicycle branded that, due to its quality and design, will appeal to children and adults both for collecting or for a different card game. 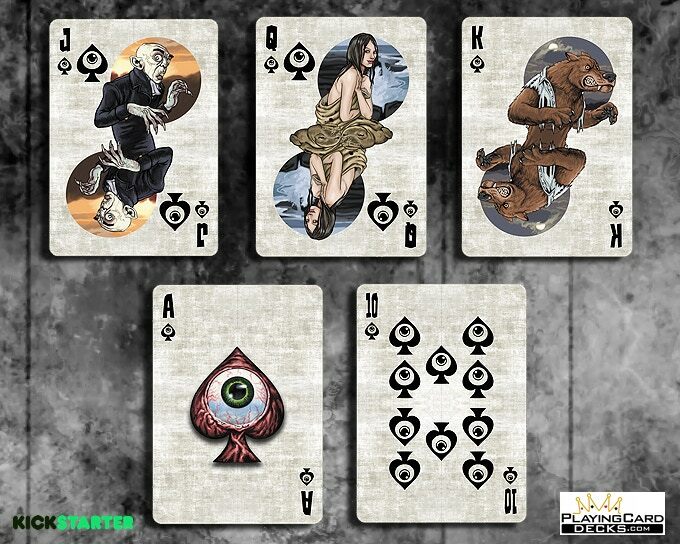 If you like it you can visit the proyect website and raise your pledge. 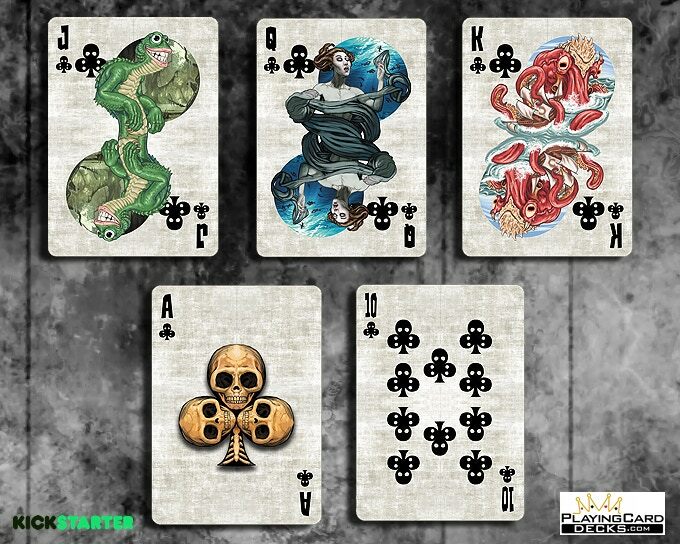 Furthermore., you can get an unbeatable price for all the previous PlayingCardDecks.com releases in specific tiers. 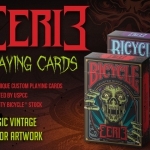 PlayingCardsDecks.com has launched a fun contest you are invited to participate in. 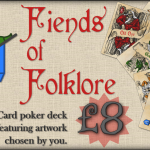 It’s very simple, you just have to guess the number of cards in the stack of the photo. 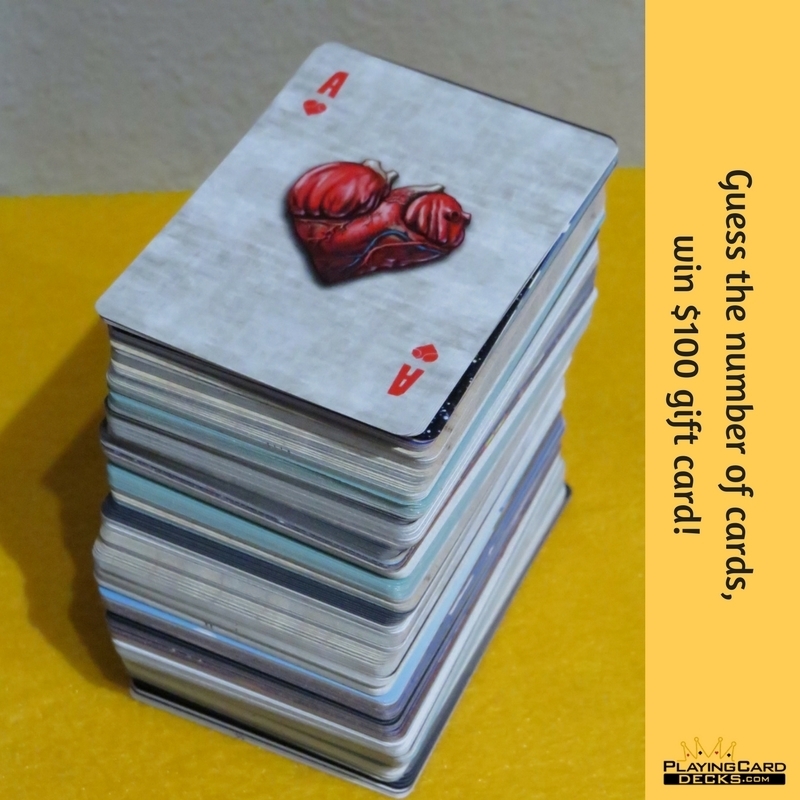 If you guess the exact amount you will a USD $100 gift card with which you can buy all the decks you want from their store (with free shipping). There is no deadline … the first one that hits it takes it so, why do not you try your luck? You can access the contest HERE.